Synthetic peptide (the amino acid sequence is considered to be commercially sensitive) within Human ADH5 aa 350 to the C-terminus (Cysteine residue). The exact sequence is proprietary. 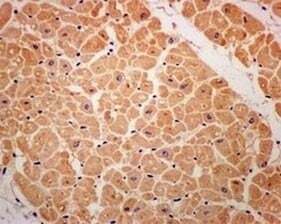 Human fetal liver, Human fetal kidney, K562 and HepG2 lysates; Human heart and liver tissue; K562 cells. Our Abpromise guarantee covers the use of ab174283 in the following tested applications. WB 1/1000 - 1/5000. 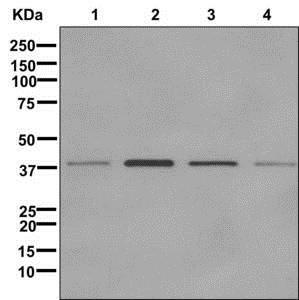 Predicted molecular weight: 40 kDa. Belongs to the zinc-containing alcohol dehydrogenase family. Class-III subfamily. 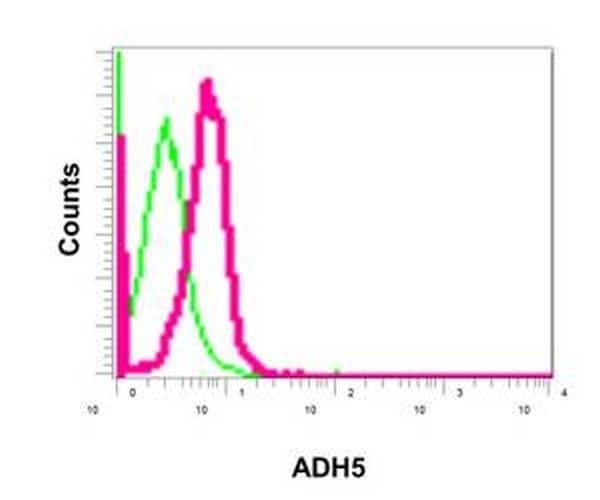 Flow cytometric analysis of permeabilized K562 cells labeling ADH5 with ab174283 at 1/50 (red) or a rabbit IgG (negative) (green). 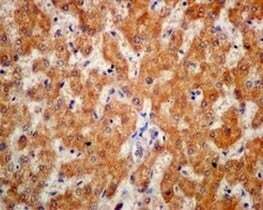 Immunohistochemical analysis of paraffin embedded Human liver tissue labeling ADH5 with ab174283 at 1/50. Immunohistochemical analysis of paraffin embedded Human heart tissue labeling ADH5 with ab174283 at 1/50. ab174283 has not yet been referenced specifically in any publications. Publishing research using ab174283? Please let us know so that we can cite the reference in this datasheet. There are currently no Customer reviews or Questions for ab174283.